Let our luxury hotel at Banyan Tree Shanghai on The Bund indulge you with a bit of Far East luxury combined with a unique blend of Asian hospitality that will make your time with us truly unforgettable. Banyan Tree Shanghai on the bund rests in Shanghai's northern bund area. 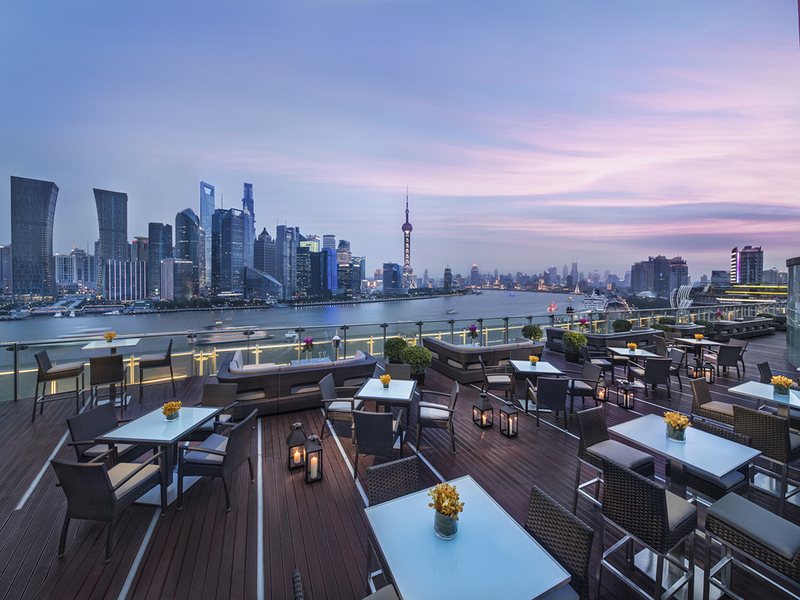 Set on a prime location along Huangpu River, the resort brings you sublime bund views and an unhindered panorama of the famed Lujiazui. The hotel features handsomely appointed rooms with comfortable living areas, complimentary WIFI, complimentary mini bar services. 4 function rooms and 1 ballroom with modern build-in meeting facilities, a spacious and fully equipped gym, a swimming pool, three dipping pools and more. The resort offers 130 handsomely appointed guestrooms with dramatic city views, including our signature Oasis Room with Romantic Poolls in Shanghai. The restaurant serves up piping hot traditional Cantonese fare and international innovative specialties. It houses six private rooms. The regular private rooms accommodate about 10 guests and the largest room serves up to 22 guests. Begin your mornings with a staggering spread of local specialties, grills and signature recipes. At lunchtime, pick from the extensive set menu selections and continue the gastronomic odyssey in the evenings with beautifully refined dinner. Take a seat at this hip rooftop bar at sunset with a designer cocktail in hand and enjoy spectacular views of the Pudong and Puxi skyline. An open, carpeted area of plush armchairs in muted palettes, the lounge offers an elegant afternoon tea, aged whisky, vintage wine and cocktails that are tea-based or herb-based.